So, I am a huge Naruto fan, it’s an anime that’s dear to me and I usually play every single brawler that gets released. Naruto was always a great story on overcoming the odds and believing in your own strength as Naruto rose from village outcast to one of the most powerful ninjas in the land; all in search of trying to bring back a lost friend. You can find new information here. So, when the story of Naruto finally ended but was continued by his son and a new group of village ninjas sharing qualities of the parents before them I was all for this new ride that would potentially bring new games and stories to the masses. 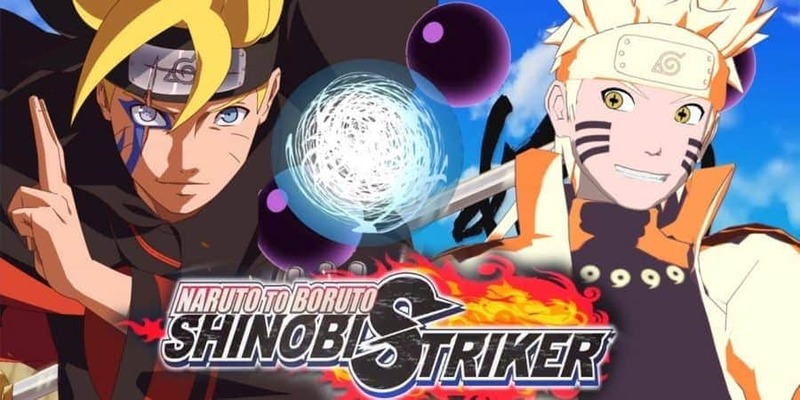 Which brings us to my excitement when hearing about Naruto to Boruto: Shinobi Strikers by the studio Soleil Ltd. A new game created from the formula we have grown to love in Dragonball Xenoverse. 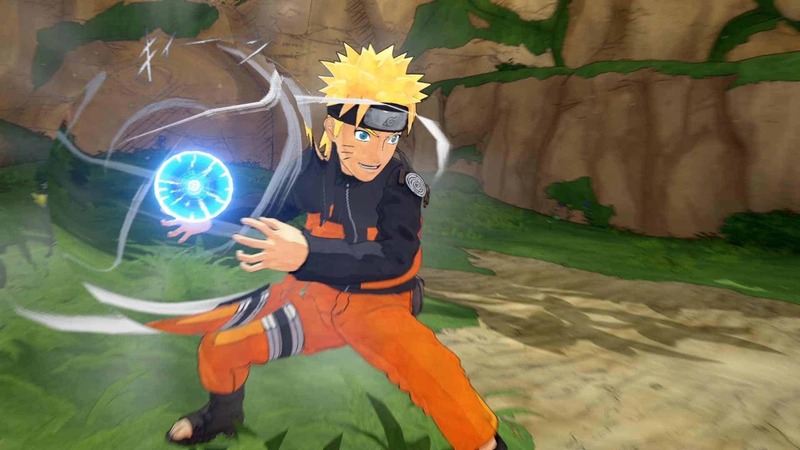 Here players create their own avatar and explore a compacted model version of the Hidden Leaf Village, home to Naruto and his son Boruto; running missions alongside and against shinobis of both timelines as your own ninja giving you the ultimate Naruto experience. Some time was put into the character creation as it seems just about every main character’s features were added. Giving you the ability to truly mix up the hairstyles, eyes, nose, and mouth. I couldn’t find a lot of features that I wasn’t familiar with from a character in the story but none the less it was a good amount to work with. 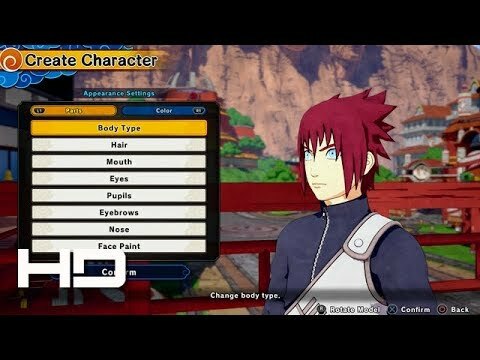 After creating my character and putting him in his default leaf village attire, (there are 5 villages to choose from, but none show any difference other than the clothing style, you also get access to the other outfits in game) I was ready to make my grand entrance as a shinobi. You are placed in the Konoha Village and it sits as your main hub of the game dropping you in a lobby with other players. There doesn’t seem to be much of story present like Dragonball Xenoverse, in here you are simply a new shinobi in the village that has to fight to become stronger than everyone else…. pretty much. Fight to be the top shinobi is the main premise here. To do that I am 1st introduced with what the game calls “VR Missions”, because Boruto’s story is set in a more modern village setting, technology is no stranger, the village has designed a place where you go to live out missions with some of the story’s lead characters. These missions usually fall in to fighting shinobis, defending an area, or boss battles with some of the legendary larger creatures of the story. But it gives you the ability to fight alongside some of your favorite characters in all its glory. 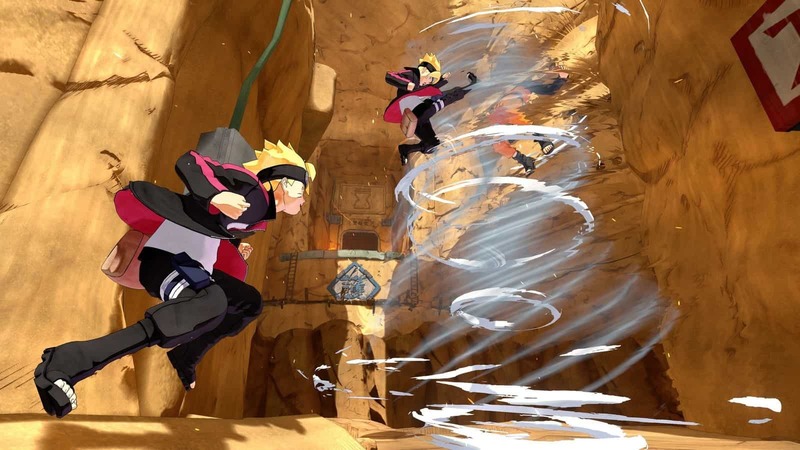 Naruto to Boruto: Shinobi Strikers provides fast paced, multi-traversal fights packed with powerful sometimes screen filling moves and summons. It looks and sounds as beautiful as always in its environments and animation. The wall running is as fluid as it looks on tv and subtle touches like defending certain attacks with a well thrown kunai makes fighting like a ninja all more enjoyable. However, this fighting system also feels very out dated. Mainly the camera. The camera system needs to be learned before even believing in yourself as a true fighter in the game, the lock on system is your only means of keeping up a good fight and it rarely works at the right moment, especially when fighting more than 4 enemies. 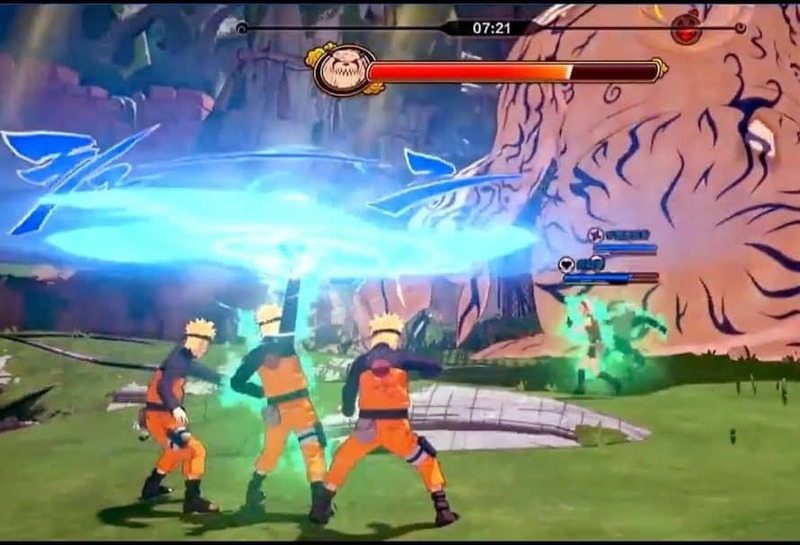 Your move set is pretty standard to most of the Naruto games that have been released, an attack button that auto combos, jump button, and the other two buttons that are your special powers or “ninjutsu” attacks. You also have a secret technique power that is usually the coup de grace in most fights as this meter fills as you fight or you find potions to quickly fill up scattered on the battle ground. 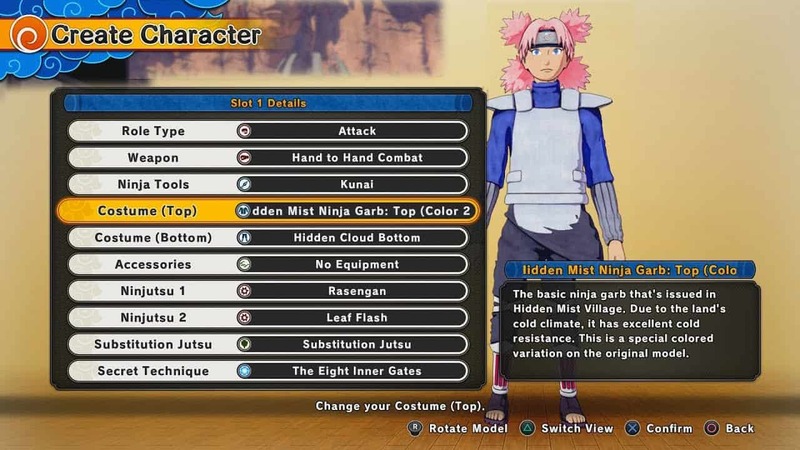 The depth that IS invested in the combat system would have to go to the ability to customize your characters loadout with different ninjutsu, weapons, clothing, and accessories from characters of the game. Much like Xenoverse, Shinobi Strikers has “VR Masters” who are many of the anime’s lead characters. These characters serve as helping you carve out what kind of character you want to become. Fighting under your master allows them to be partners with you in battle as well when running solo VR Missions so you are able to see your planned powers being used right in front of you. There are about 20 VR masters, each with powers to coincide with the 4 different character loadouts you have (Attack, Range, Defense, and Support). For my 1st run I went with Kakashi Hatake as a VR Master out the gate. After training with him the 1st level up with him grants you his lightning blade attack. You do get Naruto Uzumaki, Sasuke Uchiha, and Sakura Haruno as VR Masters to start. The clothing and weapon customizations add a bit more depth by adding different properties that expand on the characters base skills. You receive these customizations through scrolls that you get as rewards for completing VR missions, leveling up VR masters, and playing online PVP. After receiving a scroll, you have to go to a store that appraises the scroll (think of the cryptarch in Destiny), once appraised you then go over to another store to customize. Upper body, lower body and an accessory slot are your areas where full player customization comes in, allowing you to equip your character how you see fit while also granting health bonuses, decrease ninjutsu cooldown times, faster respawns, and more. The weapons are a little more generic, mainly being based after weapons from the anime, most carry the same weapon stats and are there purely as cosmetic. The problem I had with this area though was the menus are really bad to move through, I didn’t find out about the clothing having stats attached until a random button press while trying to look through clothing options. And the fact that to make any changes to your character, you have to walk over to a store instead of being able to make changes from your pause menu really slows down wanting to invest in looking what changes I can make to my character once I receive one new scroll from playing a 10-20min mission or PVP game. The PVP to me is the best area of the game but also has shortcomings. Here people face off in 4v4 using their custom created characters or one if the VR Masters. So far, I have only played the modes, deathmatch, capture the flag, and base control. Different loadouts play better in certain modes and being able to balance out team make up is usually what wins the match. I didn’t notice many players playing in the support role and the teams I played with or against that had one usually won because of the healing factor. The fights here are still as fluid as playing against the npc characters in the VR missions and many battles are very entertaining when going up against the online community. In some cases, in my beginning run I was completely outmatched by players 70 and 80 levels higher than me, so it doesn’t seem to match you well with equal level players. They also seem to hold weekly tournaments online for rewards as well so this area is probably the most important section when it comes to getting exclusive scrolls. The camera again plays a big role in these battles and mastering the lock on feature is key. The load times in between the matches are god awfully long as well, something I think we really shouldn’t be dealing with in 2018 but go figure. 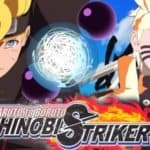 Naruto to Boruto: Shinobi Strikers is in my opinion an “aight” game, 6 out of 10. My fandom love is probably playing favor for this release but the reality is that its clearly an outdated Xenoverse clone. With no real story to attach to it, you simply are running repeated missions solo or with friends, gathering scrolls, leveling up VR masters, and fighting PVP. The only joy I really have in the game was fighting PVP with my character and destroying teams with my Vanishing Rasengan and Flying Lariat. I found myself losing interest quickly after figuring out this was literally the setup, and for the price it was listed as, without any kind of story, it should have been a $29.99-39.99 game in my opinion. The game does look amazing and has all the feels of the anime, the battle environments, character animations, fights, and customizations make for good dive in the world of Naruto, but its short lived. With a bad menu system, camera system, no story, and repetitious missions it’s at its base core only a basic 4v4 PVP brawler. I am optimistic that we may get some solidarity with future updates and patches to hopefully fill some of the shortcomings and I’ll definitely still be diving in from time to time. But I honestly think we will be waiting on a “Shinobi Strikers 2” before we get the game we expected.